THE EARLY BIRD GETS THE FUN AND THE SAVINGS! 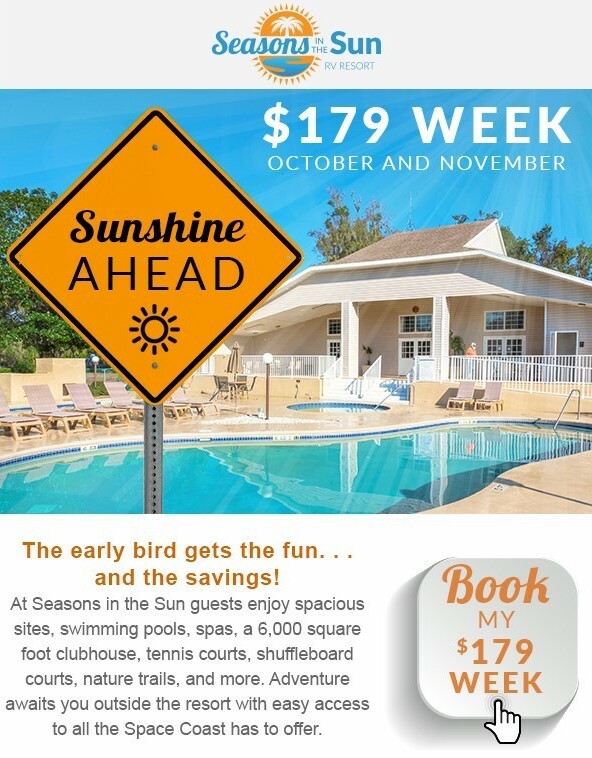 Book a week in October or November for just $179. *Valid on new reservations only. Reservations must be made by 10/31/17. Subject to availability. Limit of 2 weeks at discounted rates. Taxes and fees may not be included. Planning an RV rally or event? 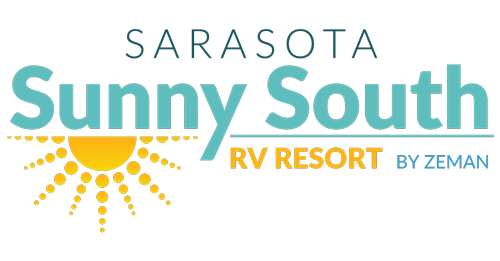 Sarasota Sunny South has the space, amenities and services your RV Club deserves. Contact us for a group quote today.